Spring Break has begun! 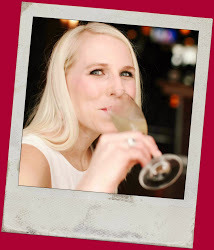 Whether you are jet setting to a tropical destination or planning a staycation in the Windy City, I rounded up the best products and activities for spring break to ensure you can have fun in or out of the sun. These are my top 6 Spring Break Tips to help you enjoy the vacation you so desperately need. Security and safety are #1, so make sure your data is protected as you travel. Hotspot Shield is a free app that allows users to browse the web safely. Hackers and cybercriminals can steal your personal information — such as credit cards, bank account numbers, passwords, and other personal data you don’t want out in the open — and use it to commit fraud. Hotspot Shield protects your identity and encrypts your data anywhere. With 650 million downloads, it is the #1 app for productive on iPhone. Free 7 day trial, different premium plans available for purchase. I have travel snacks down to a science with my kids! I pack a Ziplock for each child with their name on it, and place it in their backpack. I also pack a separate Ziplock of snacks in my suitcase for the return trip as well as to eat during the vacation. 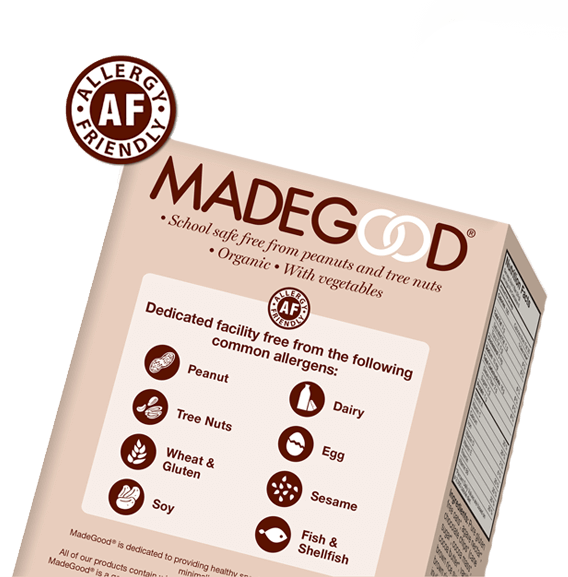 Since allergies are prevalent in so many, a friend of mine who has a child with life-threatening allergies recommended MadeGood snacks to me. They manufacture in a nut-free facility and products are free from most common allergens, are organic, and contain nutrients equivalent to a serving of vegetables. 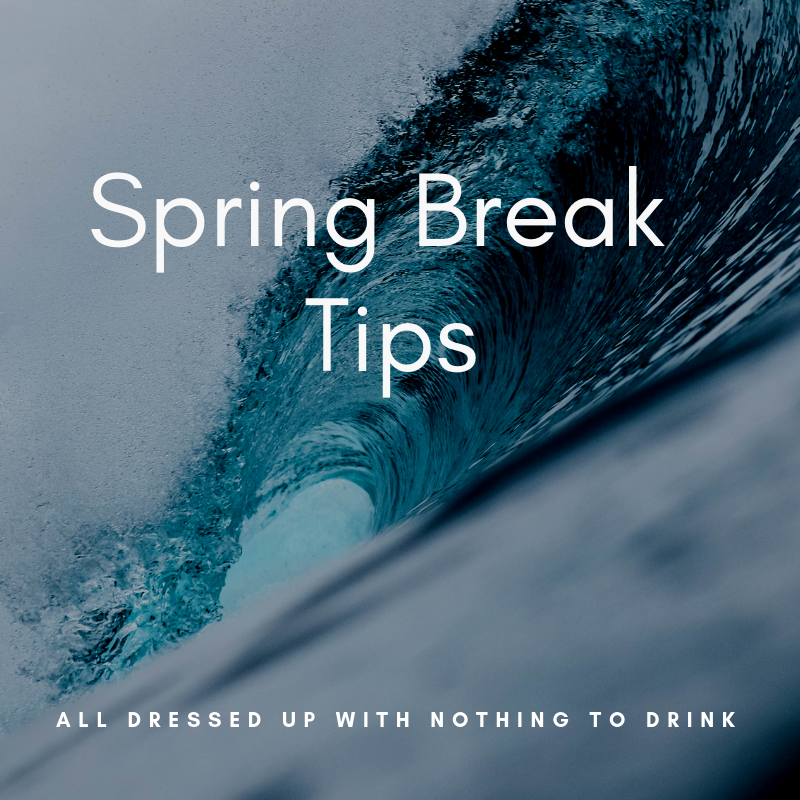 I was talking to a few friends of mine, and we all agree- Spring Break can be stressful whether you travel or stay home. Travel takes a toll on your patience AND skin, so I always try to bring something to rejuvenate my skin when I take a trip. 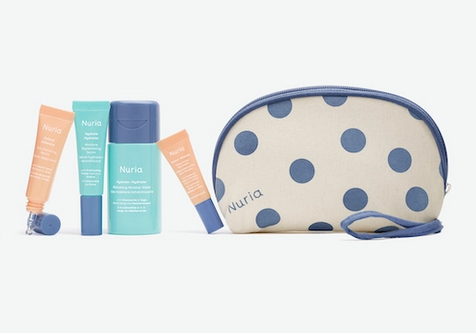 Nuria is a NEW skincare line that takes wisdom from many cultures around the world and creates effective, plant-based skincare that helps you look healthier and brighter. They have some fabulous travel sets available online, as well as a Bubble Mask that you can pick up at Nordstrom that acts like a mini-facial for those who want a spa day at home while taking care of the kids. Spring Clean: Have Kids Pitch In! If you are going to forego a fabulous trip, you might as well get your home in shape with a spectacular spring clean! I am always on the lookout for healthier cleaning products for my home. I used to use all of the same ones my mom did, but am realizing that there are safer, more natural options which is key if kids are helping clean. 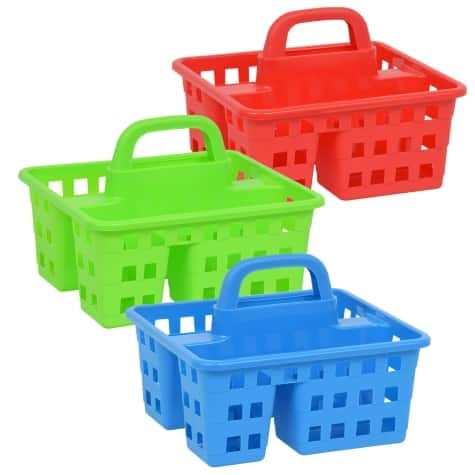 Get them their own cleaning supplies- buy a caddy at the Dollar Store and paint their name on it, and fill with non-toxic cleaning products, a microfiber cloth, a sponge, etc… My fave cleaning products are Method- I can grab them on my regular Target run and they smell amazing. Use a timer to break up tasks into smaller, more manageable chunks, and make sure you pump some jams throughout the house! At Home DIY: Try a New Tie Dye Method! 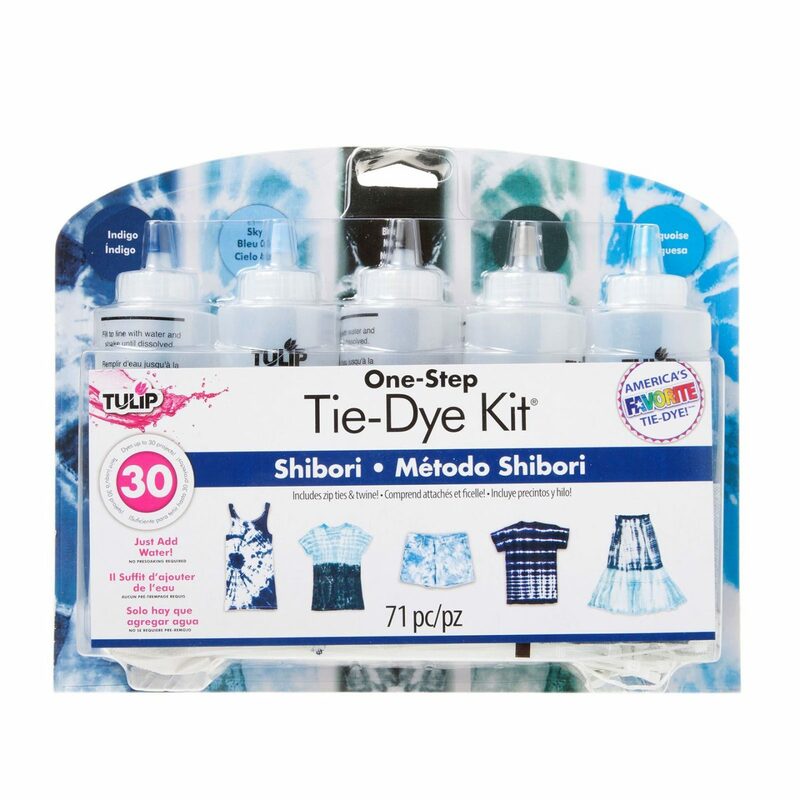 Since tie dye is coming back in style in a MAJOR way (I wrote about it in the March issue of Chicago Parent), try a few new methods like Shibori or Ice Dye. Moms- grab a white dress or wrap at a store and create a few spring statement pieces for yourself while your kids make their creations! 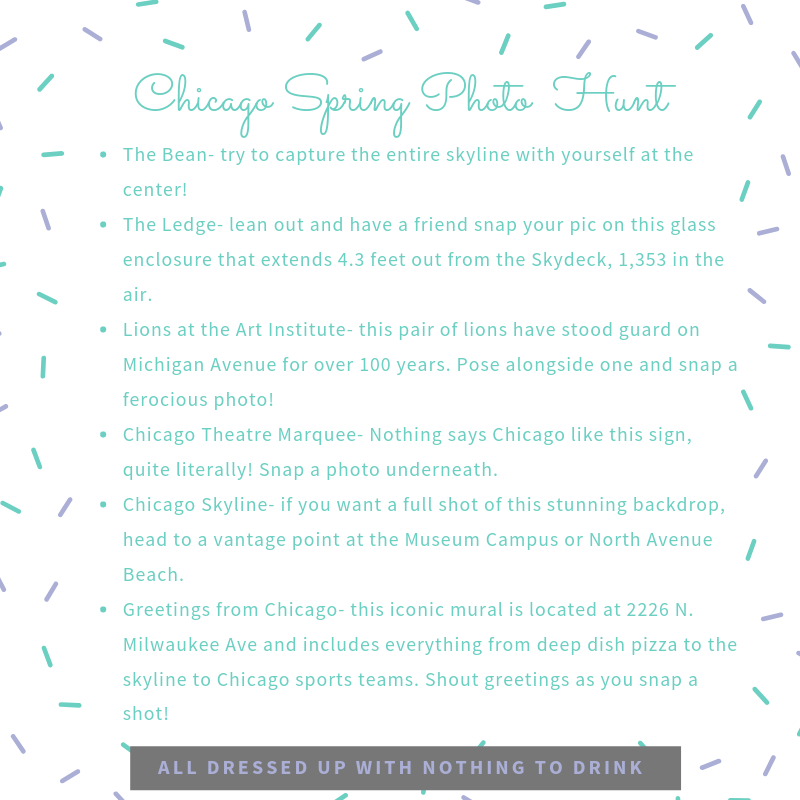 Hit up all of the photo-worthy spots in Chicago and complete a task at each, perfect for all ages and abilities. Visit iconic Chicago spots while snapping unique photos along the way to document your #SpringBreak2019. Use your phone or go old school with instant photos by using the Fuji Instax Mini! Next Post Natural Beauty Trend: Mushrooms!